Edible Book Festival is this Saturday! Part literary, part culinary, part artistic, and all edible, the Edible Book Festival is sure to tickle your taste buds and your funny bone! This edible art exhibition will feature “books,” made of food and inspired by a book or pun on a book title, that are exhibited, documented, and then devoured. The event will be held at Third Place Commons in the Lake Forest Park Town Center on Saturday, April 6 at 11am, and is free and open to the public. Come out and enjoy the mouthwatering manuscripts, or brave your apron to create your own succulent storybook. 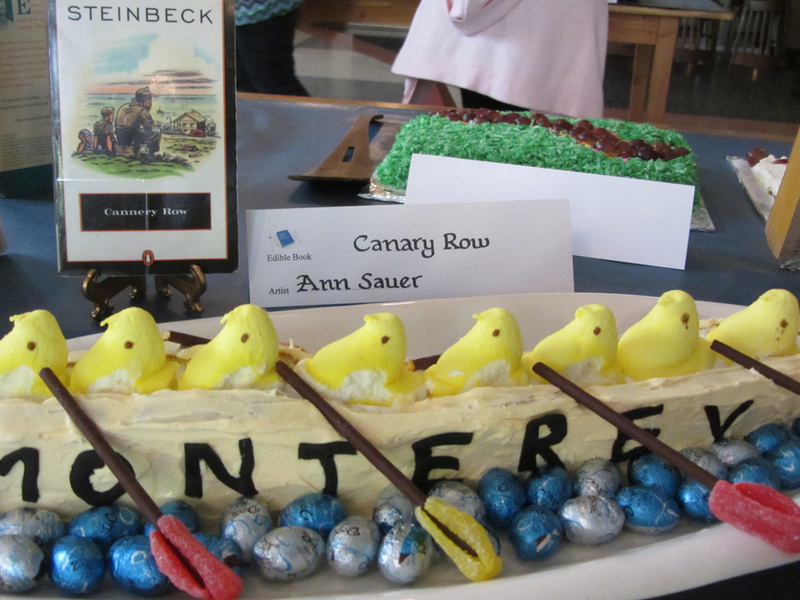 Your creation should be inspired by a book, but made out of edible ingredients—sweet or savory. It may look like a book, tablet, or scroll... or be completely unique. Check out www.pinterest.com for inspiration, and then register your delectable literary creation in person at 10:45am on the day of the event (April 6). Or you can register online by Friday, April 5! Everyone present can vote for the People’s Choice Award! This year’s judges include Bill, The Chocolate Man; Julie Hiers, Children’s Librarian at Lake Forest Park Library; Susan Jones, local artist/illustrator; and Bobbie Bender, head cake decorator at Honey Bear Bakery. Thank you to our judges! 10:45am – Check in. Bring your culinary creation (along with the book that was your inspiration) and appropriate serving utensils to Third Place Commons. We will provide plates, napkins, and forks. 1:30pm – Consume the Edible Books! We’d like to thank our sponsors and partners, Jack Malek of Windermere and Imperfect Produce, Friends of Third Place Commons, and Third Place Books and the Arts Council’s Gallery at Town Center for donating awesome awards.